Texture is a term typically used to describe the overall size of the leaves of any plant. Fine texture describes a more hair-like or needle-like foliage with a softer appearance. Generally fine-textured plants have a more natural, somewhat unkept/ relaxed appearance. They may recede visually and can draw attention to the form and color of other surrounding plants. In mass, small areas of fine textured plants may appear a bit larger. 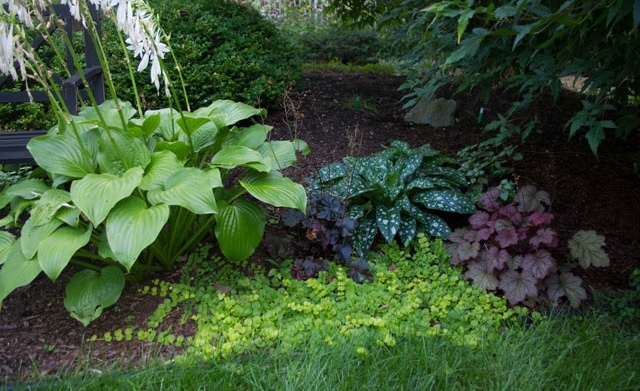 Heavy or Coarse texture would categorize plants with larger, broader leaves that tend to dominate a planting bed and grab attention when used singularly. Many tropical type planting schemes will highlight plants with heavier textures. 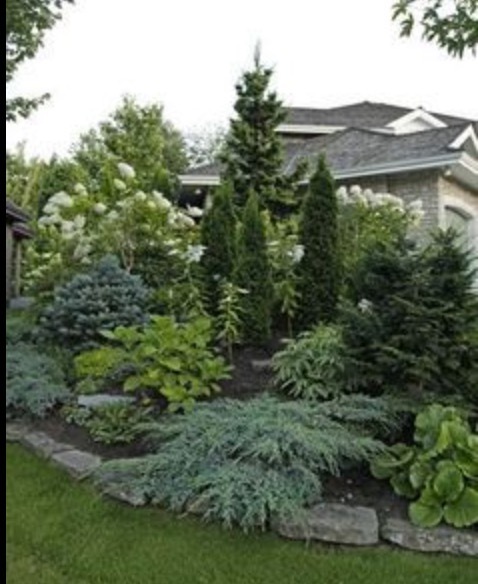 An easy way to create dramatic visual interest in planting beds is to mass plants in layers with a mixture of textures. 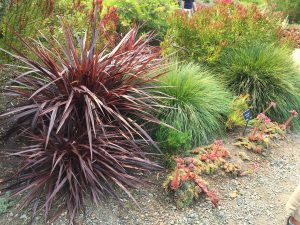 Since most plants tend to fall into the ‘medium’ texture range, here are some ideas for both fine and heavy textured plants including some trees/shrubs/perennials that work well in Northern California. The names below are the Latin/ botanical name of a specific Genus, species, and/or variety. Different textures in landscape create interesting contrast.